Have You Ever Wondered Why Vampires’ Teeth Always Look So Clean? HINT: It’s not because they use Crest white strips…. Do vampires shop for Crest vampire product line? Sensodyne White: Vampire Strength ? Listerine Blood Stain Removal? Vampires probably have EXCELLENT teeth! All the blood drinking creates more saliva in the mouth, which breaks down the enzymes that lead to cavity causing bacteria! No wonder their canines are always so pearly white! Happy Halloween from LaTooth NYC! Enjoy your candy and don’t forget to swish with water after each treat. We're Open on Columbus Day! Don’t let your smile get like Mr. Pumpkin’s. Come see us! Get ahead of the Halloween candy rush and come in to LaTooth NYC Dentistry this Columbus Day (Monday October 8)! Plus, Halloween is coming up soon so let's educate you on how to have your candy and eat it too! To all my friends and patients who've asked for electric toothbrush recommendation: Amazon Prime day dental deal alert! My all time favorite toothbrush, Phillips Sonicare Diamond Clean for as low $99 (original $220). To avoid dental cavities from eating those irresistible mid day snacks, (which for Dr. Lattouf and the LaTooth NYC team is a mid day popsicle :D) swish your mouth with water as soon as you take that last bite/sip. The water will rinse off the sugar from the surfaces of your teeth. The quicker you swish the better! We want to get the sugar rinsed off before it begins to breakdown into the cavity causing organisms. SmileScience — Drink more wine to keep dental problems away?? Don't have to say that twice!! Recent research by the Journal of Agriculture and Food Chemistry gives evidence to the polyphenols in wine being important in prevention of dental bacteria that leads to periodontal disease. Smile Science: Learn more about how Amazon’s consumer trend is affecting our oral health. Amazon has undoubtedly become the easiest and most convenient website for pretty much any and everything. From sales, to services, it far outcompetes all others. Is it the consumers that drive Amazon sales or Amazon that drives the consumer trend? 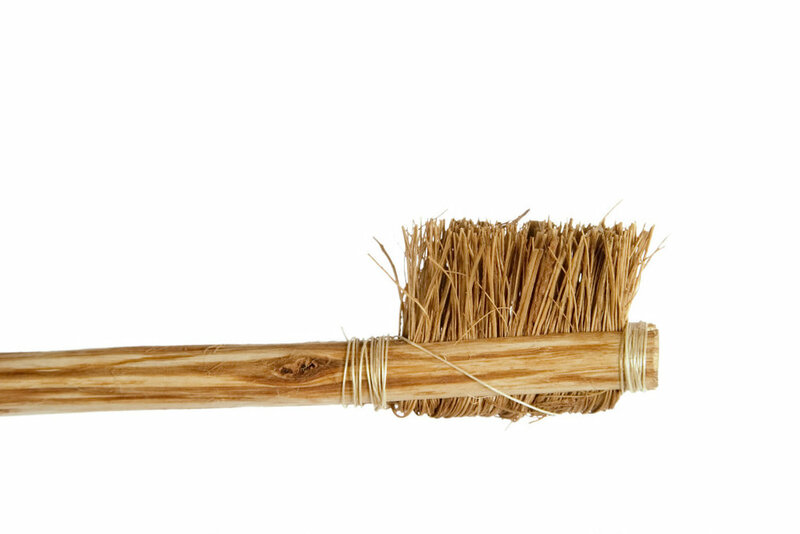 A recent Bustle article of the 26 most ‘random but brilliant products skyrocketing in popularity on Amazon’ shows 2 of the 26 related to oral health, and both incorrectly advertised. As licensed professionals responsible to educate and treat all matters relating to oral health, LaTooth NYC is here to debunk the myth. #12 advertises, “floss without pain or inconvenience with [a] water flosser”. It claims to rid you of your least favorite activity, flossing. Waterpik’s are an adjunct to flossing but NOT a replacement. Waterpik’s are useful for hard to floss areas like under dental bridges or around implants and can be useful between teeth but most people have teeth that are so close together that physical floss is necessary to remove all the plaque and food debris between the contact point of the teeth. It doesn’t take a [D]MD to rationalize that a stream of water is not as strong as a physical thread, or does it? A waterpik is better than nothing but it is not a replacement for traditional floss. Sorry Amazon, myth busted. #16 advertises, ‘a natural teeth whitener with amazing before/ after pictures.’ This product is activated charcoal. Myth buster part 1: Activated charcoal is not naturally found it is a manufactured product. Let’s start by describing what “activated” even means. It means that carbon molecules are inserted into it’s pores to expand its surface area. Charcoal has been used in household appliances for cleaning, in backyard grills for burning, by farmers as a pesticide, and by dry cleaners/gasoline dispensing operations to capture volatile organic contents. Now, let’s talk about teeth. It is true that activated charcoal has proven to whiten teeth. It adheres to stains and removes them from the tooth surface. The results are truly shocking, as amazon’s article says… so shocking; it makes us wonder if it’s too good to be true. There is no conclusive evidence that confirms the safety of this manufactured substance on your teeth, surrounding gums, and to take it a step farther, on any existing fillings or dental materials you may have. It is very caustic. If we were to follow other trends in life we can conclude the following 1) if it’s too good to be true it’s probably not true and 2) if it’s not found in nature, its risky to wager. Teeth are the only part of your body that doesn’t regenerate. You get a cut and your skin heals itself. You break a bone and your body works to regenerate it. You lose tooth structure, and it’s gone forever. So at LaTooth NYC, we recommend staying away from quick fixes that lack the support of scientific evidence.